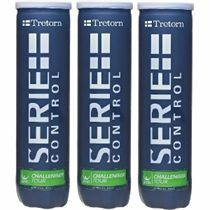 Tretorn's micro cellular technology is patented worldwide and recognized by the International Tennis Federation (ITF) as the pioneer in a new category of tennis balls called "micro cell." 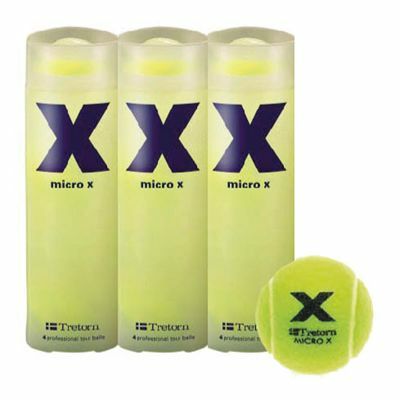 Tretorn's micro cell tennis ball, the Micro X, is neither pressureless nor pressurised. The Micro X ball combines the best of both worlds, resulting in a tour performance ball that does not lose performance or bounce over time. for submitting product information about Tretorn MICRO X (1 dozen) We aim to answer all questions within 2-3 days. for submitting product information about Tretorn MICRO X (1 dozen). We aim to answer all questions within 2-3 days. If you provided your name and email address, we will email you as soon as the answer is published. Have been playing with these balls for less than a month so can’t comment on long term durability but these balls have been very good so far. Consistent bounce on all balls (ordered 24). 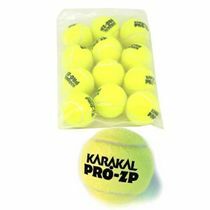 As these are pressure less balls, they will feel heavier/slower than normal balls but are still very good for practicing or for casual matches. Always a good ball, last for ages and sold at a good price. I will keep using these as long as they are available. In cold weather these bounce well. They are good value for money because the bounce remains consistent for longer. Excellent balls for wet weather use, which last until the felt wears out, which is a long time if used on a less abrasive surface like artificial turf or grass. Pretty expensive though at about £2 a ball..
We absolutely love Tretorn micro X tennis balls. Not only do they feel good to play with they are also good value for money. We usually get approximately 6 months use per set of balls. OK first off I don't like these balls as much as others because of the slightly different bounce and weight, so why the 5* review. I suffer a little with shoulder and elbow problems and when the usual balls (Slazenger) get wet it exasperates the problems. Now these balls are a little bit heavier, but don't seem to soak up the water like the normal balls do so if you are playing in the wet they are lighter and retain their bounce. Also being non-pressurized when you take them home and dry them out, the next time you use them, no matter how long the gap they are just as good. Usually they last about 10 different sessions before they need replacing so they end up being good value. 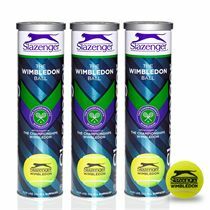 Fantastic tennis balls, especially good to use in cold & wet conditions. Balls have consistent bounce and play like new balls all the time. Only have them for 2 weeks so no idea on durability. These balls are very good when playing on wet surfaces. They keep their bounce far longer than pressurised tennis balls. Worth the money. Went looking to buy more but not at the same price I paid. These were a very good price & brand new. Good seller. These are excellent long lasting balls, even in the rain! for submitting product review about Tretorn MICRO X (1 dozen).